2014 it was the end of flexing on many levels, we all grew tired of the flex and the fact that one of the hottest songs on that year titled “No Flex Zone” topped the charts definitely solidified it. But then of course maybe it had to do with the fact that the song was a banger with a track produced by Mike Will Made It one of the dopest producers in the industry and the fact that the rap duo Rae Sremmurd ( Swae Lee and Slim Jimmy) killed it or the remix with Nicki Minaj. All of the above in my opinion made this song a hit, but not a one hit wonder type of thing for the duo, they released another banger “ I Aint Got No Type” which is a club anthem these days, another track produced by Mike Will Made It. Wait they have an album “Sremmlife” that was just released and executive produced by the super producer as well, sounds like a recipe for success. 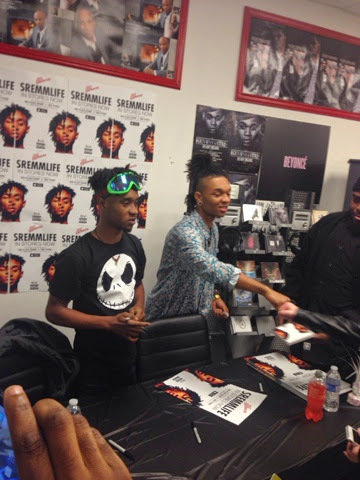 I got a chance to catch up with Rae Sremmurd at DBS Sounds in Atlanta the day their album was released for an in store signing. 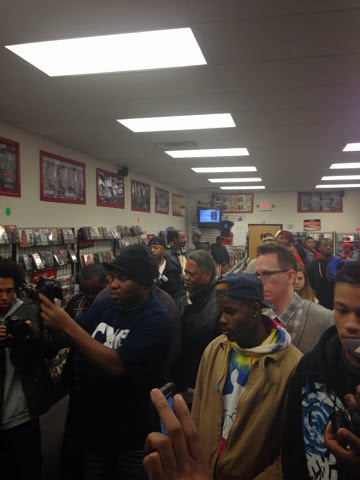 The Duo was running a little late but that did not sway their fans who stayed patiently waiting to meet their favorite rappers, as time went by Rae Sremmurd emerged from the back and entered the room. They immediately began to sign autographs and take pictures with their waiting fans, to give a visual the duo didn’t even sit down, their album was playing on the speakers and they moved along with the beats all while conversing with fans. 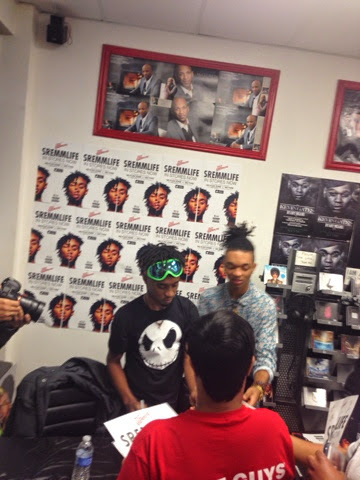 After the frenzy died down Rae Sremmurd and their entourage ( which included Mike will Made It)came into the back room of the store where the media waited for interviews, during one of the interviews Swae Lee took off his timberland boots wrote on them customizing his shoes this showed the laid back side to them. I have to say that they were really down to earth no ego involved just genuinely cool people. QN: What can people expect from this album? Slim Jimmy: They can listen to it and have a good time. 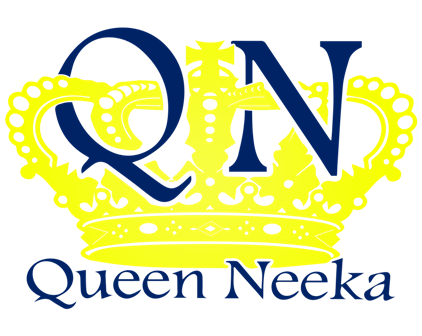 QN: Coming from Mississippi which is a tough market to come from what advice would you give other rappers trying to make it from that area? Swae Lee: Be different if you hear someone rapping a certain way don’t do the same thing switch it up and have a different sound, so you stand out. QN: Where should they move to? Slim Jimmy: Atlanta, this the best place. If I was to give a description of the Rae Sremmurd I would definably say they have the energy of a kooler version of Kris kross. 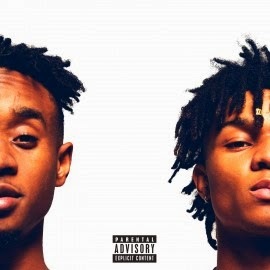 Any way make sure you get the album “Sremmlife “ for their first album it is definitely a great one, feel good, have a good time vibe.